Book Of The Month: May 2016. An ancient fundamentalist organization executes several attacks simultaneously across the globe. In the Pentagon a deadly viral compound is unleashed and the airborne virus turns the Pentagon’s population into zombies. A Secret Service agent, coerced by the terrorists to assassinate several heads of state, sends the world into chaos. 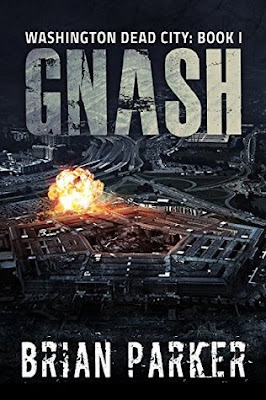 A former Army officer stranded in the Midwest is forced to fight for his life while his fiancé is trapped in the Washington, DC quarantine zone. They must each fight for their own survival as the nation battles to end the zombie threat before it becomes a global pandemic. Amazon Review By Bobo April 26th, 2016. Amazon Review By andrew jackson Mach 14th, 2016. "What you have here us a different take on your zombie apocalypse. This one follows two outbreaks instead of mass destruction. Very good read and characters."